Fall is in the air and pregnancy is underway! While comfortable options surge to the forefront of your fashion priority, rest assured that you can combine comfort and style whether you’re looking for ways to mix and match your current wardrobe or stock up on some new items to boost your fall fashion ensemble. As the days get shorter, the air becomes crisper and your baby bump grows bigger, you’ll be happy to know that fall is the perfect time for stepping up your pregnancy wardrobe game! Since apple picking, hayrides and a new baby are on your mind you may find you don’t have much time to think about maternity style. 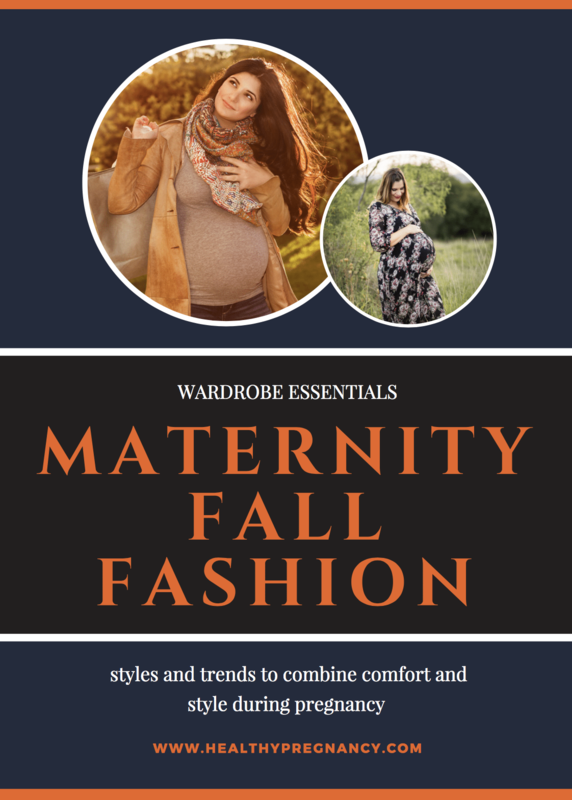 Therefore, here’s a quick roundup of this season’s top fashion picks that you can easily incorporate into your fall maternity wardrobe. Thanks to these trends, you can easily be comfortable and stylish throughout the season. Tunic tops are a great option during pregnancy as they tend to have a looser fit and boast a high-low hem, which is also in style right now. These oversize tops hit below the hip or mid-thigh—depending on your height—and both hide and flatter a multitude of body issues and bumps at every stage of pregnancy. During the early stages of pregnancy, they are a great option to hide any bump until you are ready to disclose your pregnancy news to the world. As you go through your pregnancy, you can pair them with leggings or wear them over skinny jeans. After your baby is born, you’ll appreciate the extra room these tops have to offer, plus the added fabric can provide a discreet cover while nursing. We also love that many come in light rayon and twill fabrics, thus providing even more comfort and airflow so they won’t cause you to roast with your bun in the oven. Maxi skirts provide flowing skirts in light blend materials that are breathable, and the plunging length provides a lengthening effect for your new silhouette. The dresses provide empire waists, providing a focus on your collarbone, shoulders and décolletage. An added bonus is that this is one item you probably don’t need to buy in the maternity department as long as you find one in a forgiving fabric. Not only are these maxi classics casual and comfortable enough for apple picking and fall festivals, they are a stylish piece that can be dressed up or down to match your mood and occasion. Poncho styles extend far beyond a rainy day outside. These serve as the perfect pregnancy jacket as the temperatures begin to drop if the buttons on your favorite leather one just won’t do up anymore. Like tunics, these are perfect both during and after pregnancy, as they provide coverage of your growing bump during the early stages of pregnancy, provide extra room during your pregnancy for your growing stomach and can provide a discreet breastfeeding cover after your pregnancy. Plaid has always been a fall clothing trend, and this year is no different. Whether you wear a plaid tunic or a plaid shirt, you will no doubt be in style. Consider layering a comfortable fitted tank or T-shirt under a loose-fitting plaid tunic. Pale pink and neutral plaids are the color trends that the runways have given us this season, so pick up a couple plaid items in these shades and you’ll fit right in. If you feel that a plaid shirt, jacket or poncho is too bold or busy for you, try pairing a solid or striped shirt or dress with a plaid scarf for a stylish accessory. Not only are scarves always a fall must-have accessory, but you can wear them even after your baby is born for a convenient nursing cover. Fall is in the air, but flowers are still in style! Neutral and dark florals are all the rage right now, so trade in your bright summery sunflower prints for a blue or black floral-patterned display. 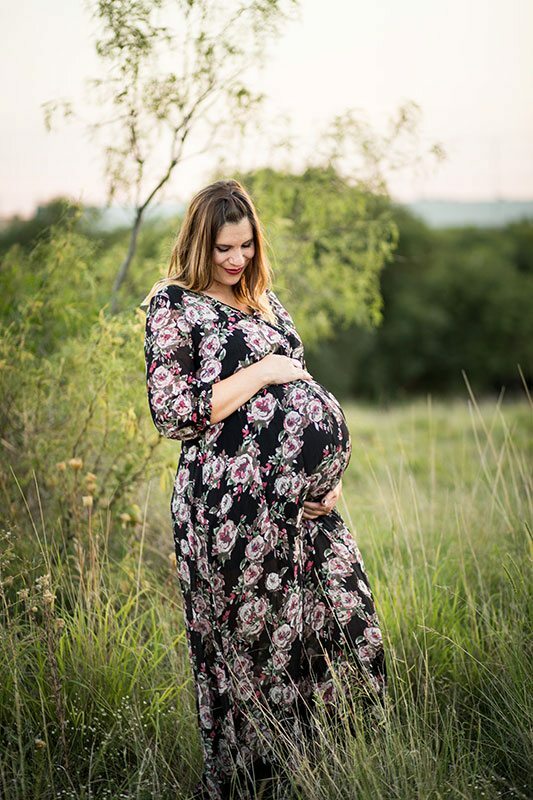 Consider seeking out a floral maternity maxi dress or skirt. When you’re needing an outfit that is even more casual, you can still easily be fashionable in florals this season by pairing an oversized floral blouse with your favorite pair of maternity skinny jeans or leggings. No longer is leather just a symbol of the 1980s; it has made a major comeback on the runways this fall! We aren’t talking just leather jackets either. Feel free to rock the leather look all fall long. If you’re brave enough, bid farewell to your yoga pants and cotton leggings and pair your leather jacket with some leather maternity pants. They are the way to go if you want to step up your maternity fashion game. On an even better note, faux leather is cheaper and more stain resistant than genuine leather. It also looks just as stylish as real leather and is extremely comfortable, so you won’t have to spend a fortune to be in style. Finally, don’t forget that you can incorporate leather to complete any outfit this season with the perfect pair of comfy leather boots and a leather purse. We hope these tips and trends have given you the inspiration you need to style your fall maternity wardrobe. With just a few key pieces, you can easily and comfortably flatter your pregnancy figure and can take these items into winter for a stylish approach throughout the end of the year.